Ryan Joel Carrera is wanted in connection with a shooting in south Keizer. The man being sought by police in connection with a shooting that occurred in south Keizer has a history of violent offenses. 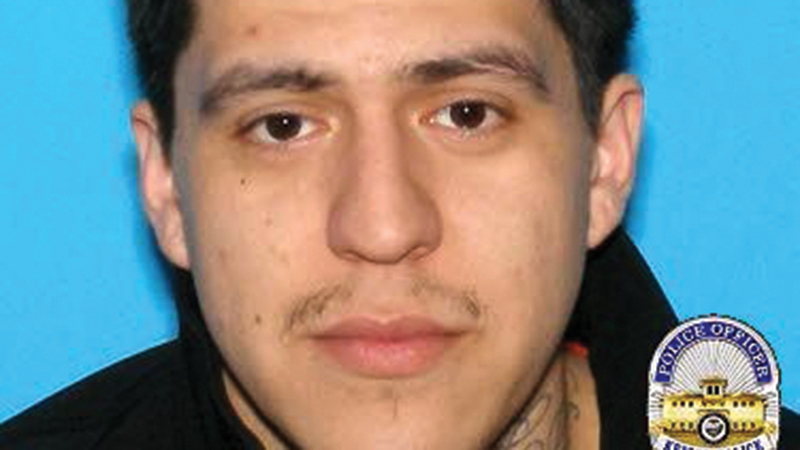 Ryan Joel Carrera is wanted in connection with a shooting that left a victim with non-life-threatening injuries and abandoned in a car at a Salem motel. Carerra was charged with possession of prohibited weapons or a silencer and assault in 2008, but not convicted. In 2012, Carrera was found guilty of fourth-degree assault and sentenced to 18 months probation. In 2016, Carrera was sentenced to 30 days in jail for resisting arrest. Carrera also has a state-wide felony warrant issued from charges related to drug possession. Law enforcement authorities now believe Carrera has fled the area after the shooting in Keizer around midnight on Sunday, April 22. Patrol officers from the Keizer Police Department were dispatched to a report of a shooting in the 3600 block of Brooks Avenue NE. The caller told dispatchers that a friend had been shot and was being taken to the Salem Hospital by private vehicle. Responding officers later learned the individual who said they were transporting the shooting victim to the Salem Hospital actually drove to the Roadway Inn at 3340 Astoria Way N.E. in Salem. Officers from the Salem Police Department found the 26-year-old male victim in a car at the motel after being tipped off by another call to 9-1-1. The man was then transported to Salem Hospital for treatment of his injury. Investigators identified Carrera as the suspect in the shooting and are looking for him. In the immediate aftermath, police were also searching for a rental car Carrera fled the scene in, but it was recovered Monday, April 23. It was found northeast of Salem by officers from the Marion County Sheriff’s Office. KPD Deputy Chief Jeff Kuhns said police think Carrera may be headed to Washington, specifically the Tacoma area. Anyone with information about the whereabouts of Carrera is asked to call 9-1-1 immediately. Carrera is believed to be armed with a handgun. Anyone having information about the incident in Keizer is asked to contact Det. Andrew Phelps at 503-390-3713, ext. 3497.